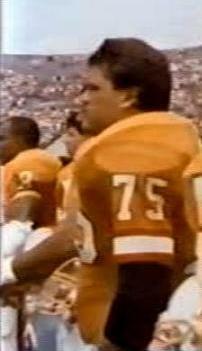 The first player to wear this number for the Buccaneers remains the best in spite of some decent efforts by a first-round pick to take it away from Dave Reavis, a member of the expansion draft who originally played on defense in Pittsburgh. 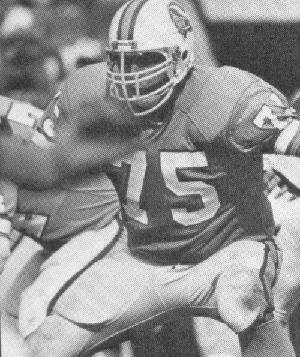 Reavis won two Super Bowl rings with the Steelers in the 1970s and came to the Bucs in the 1976 expansion draft and started at left tackle for most of the next eight years. Brison Manor sounds more like a housing estate in London rather than a short-term fix on the defensive line, and none of the three ends that followed him in the 75 jersey amounted to much. Carl Bax was more well-known for smuggling steroids in from Canada and Reggie Rogers also served time in a penitentary for vehicular manslaughter. 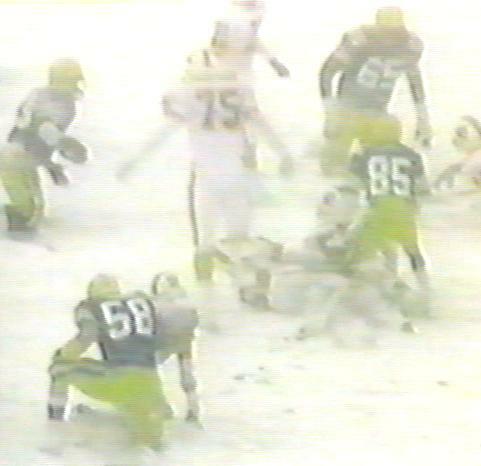 Perhaps Eric Curry should have done the same for impersonating a 1st round defensive end. 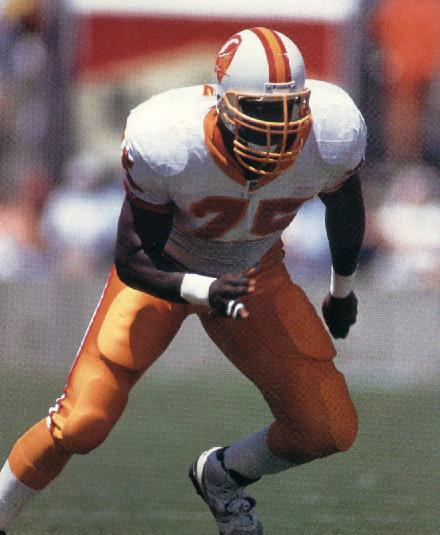 Todd Washington was a decent enough back-up on the offensive line and Lomas Brown timed his final NFL season with the Bucs' Super Bowl title, thereby crowning an impressive long pro career. 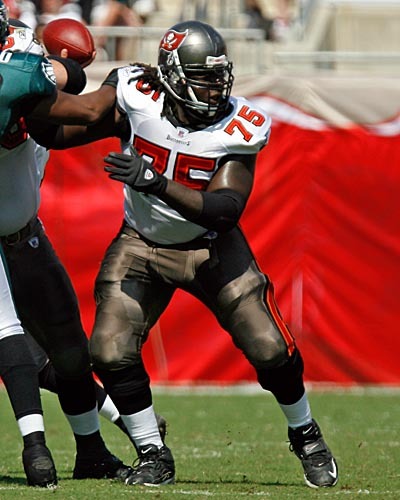 Davin Joseph was a first round pick in 2006 and started nearly 100 games for the Bucs including making the Pro Bowl in 2008 but is not a friend of BUCPOWER.COM like Dave Reavis is and as for "Turnstile" Todd Steussie.